It was wonderful celebrating Christmas with our children and our first born granddaughter. 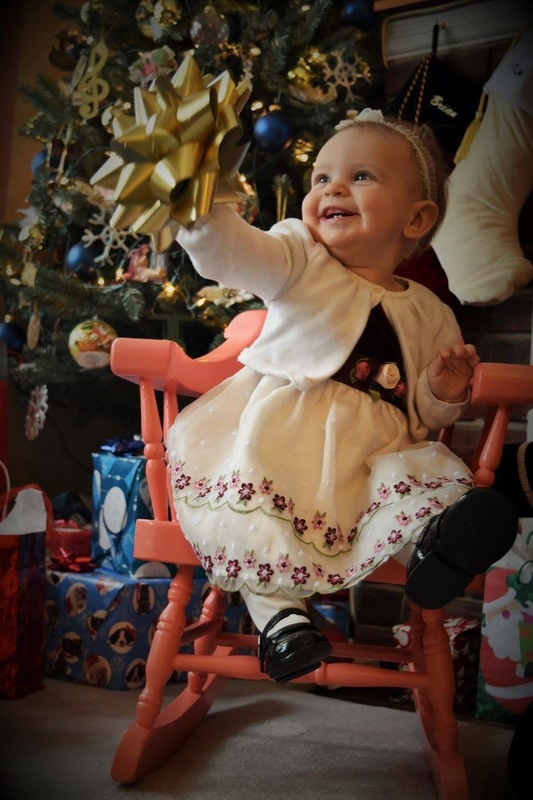 It is always exciting to see how an infant responds to all the presents and bows. It may be somewhat typical of such a young one, the bow seemed to be more interesting than any box or present. We all thought she was cute and her joy with the bow was refreshing innocence in a world of greed, want, and never ending desire for more. Despite the positive take and all, I did have another thought as I reflected on the picture of my granddaughter. I wondered is it possible that many of us settle for a bow in our relationship with God. The God of the universe created us, sent his Son as redeemer and friend giving us new life and the gifts and graces of the Holy Spirit so that we may live as his people. Though we have been given all the gifts of our Loving Father, sometimes we settle for the bow. In our immaturity we can focus on blessings that are more about the riches of this world than the riches of our Lord and his kingdom and in so doing miss the real gifts of God that transform us and enable us to live as His sons and daughters. This year let’s not settle for a bow. Instead let us embrace the fullness of all God offers in Jesus Christ and life in the Spirit. Previous What’s behind the Gift? Next God uses normal, everyday things (and people).